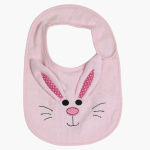 Juniors 3D Bunny Bib | Multicolour | Helps to protect baby cloth from getting stain. 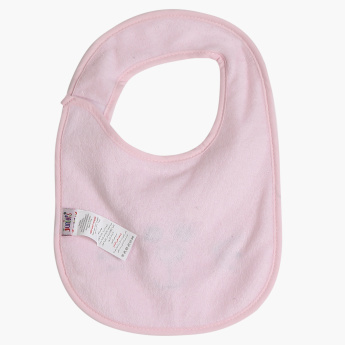 When it comes to feeding your baby, there's chance of food crumbs falling from the baby's mouth and staining baby's clothes, this attractive bib is just what you need to help prevent those stains. It lends a comfortable fit around your baby's neck owing to the hook and loop closure.